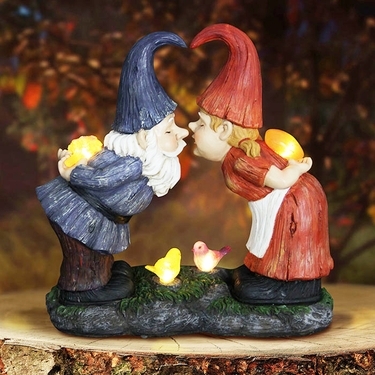 Just in time for the holidays, our new Solar Kissing Garden gnomes will bring fun and romance back into the garden! We've been looking for this kissing pair for quite a while with the adorable heart made with the tips of their gnome hats. Bring some cute garden gnome love to your yard today!